Verbling Review – Speak Your Target Language Today! Have you ever had a challenge with finding a good language teacher or somebody who would speak your target language? I had this challenge and many language students are saying the same. Verbling is created to solve that problem. I made research on their services and community. Now I will share you what I found out! What Is Verbling All About? 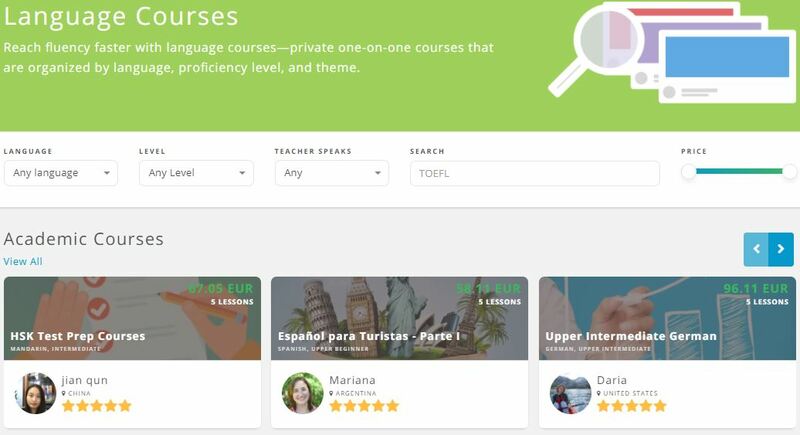 Verbling is a language learning community where you can find language teachers, tutors, and other students so you can take your skills to the next level. The idea is pretty similar to Italki but Verbling wants to brand themselves providing more high-quality teachers. There are professional language teachers for all the biggest languages in the world. I didn’t find the total number of teachers in Verbling but there are for sure thousands of them. It’s good because it gives flexibility when you are choosing a teacher and also makes competition among teachers which brings prices down a little bit. Verbling has a conversational curriculum which means that their main focus is on speaking a new language. That follows the principle what Benny Lewis always says, “Speak from Day 1”. Verbling believes that you will learn a new language by speaking it. I agree. On their homepage, they show a picture explaining how Verbling works. The basic idea is to connect language students and language teachers like in other similar services like Preply. The Verbling platform works very well for that purpose and you can quickly find professional teachers in a language that you are studying. Each language lesson in Verbling is 60 minutes. They also have some other features like language courses. It means that there is a package of lessons that a teacher has prepared with a specific subject. I could benefit for example from German Intermediate Course at the moment. By clicking the picture of the course on their website, you will see more details about the subject and what time you can take a course. In one section you can find articles related to language learning written by their teachers. You can filter the articles that are related to your target languages or even read the articles written by your own teacher. Verbling Practice Groups – This Is My Favorite! One of the most interesting ideas in Verbling is practice groups. In my opinion, it’s wonderful and I am wondering why other language learning services are not providing it yet. Do you know if it’s available somewhere else? Anyone can create a practice group for free inside Verbling. Then it shows to all other members like you can see in the picture below. You will be in a Google Hangouts live with other language learners who join the group. You can create a group and decide a language. Then you can choose the preferred level for people who join the group. You can see some examples in the picture above, “Any Level” and “Advanced”. The only drawback is that it can be sometimes challenging to find language learners who would like to practice right now. The Verbling community is not that big yet. You see that in the screenshot that I took there were 5 groups and all of them were for speaking English. If the community grows, there will be more people to study each language. Probably I will contact Italki and ask why they don’t have this feature yet. I will inform you their answer here when I have it. I am just wondering why other language learning websites are not using this kind of magnificent method to connect language students. How Much Do 1-on-1 Lessons Cost? It was interesting to find out that it depends on the language that you are learning. Verbling shows you the average price of the language lessons for each language. These are only averages so you will find cheaper and more expensive teachers in any of those languages. You can find, for example, German teachers who teach for 15€ per hour. It seems that German teachers charge much more because those language teachers (and students) live in more rich countries like Switzerland, Austria and Germany. Arabic lessons on the other hand are cheap because living in many Arabic countries is very cheap. 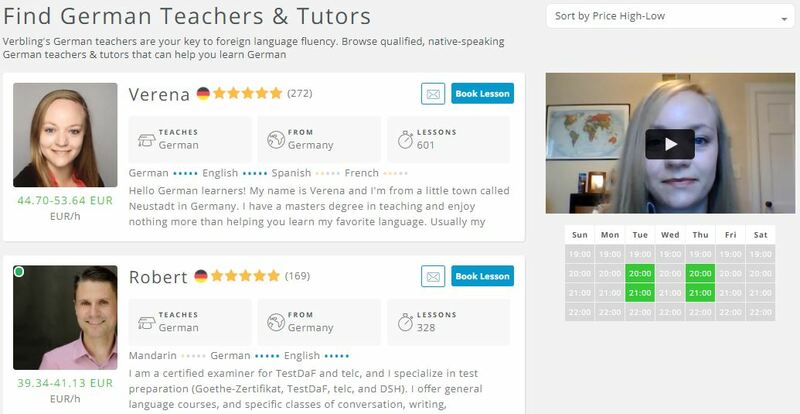 NOTICE: Many language teachers in Verbling offer a 30-minute trial lesson for free. => Get a Trial Lesson for Completely FREE! Teaching on Verbling – Would It Be Profitable? I believe that there are many teachers who are making a full-time income by teaching online. I think it would be an interesting idea especially if you are living in a cheap country. You have a flexibility to set your own hours and work from the comfort of your own home. I noticed that several English and German teachers, for example, were charging even +40€ per hour. It means that by teaching 50 lessons you have already charged 2,000€. Verbling takes 15% fee from your earnings so you would be earning 1,700€ in this example. With that money, you could live comfortably in most of the countries all around the world. In some countries, you could “live like a king” with €1,700 per month. And that was only for 50 hours of teaching! Of course, you probably won’t earn 40€ per hour right off the bat. When you start out you probably need to set a lower price to get some positive reviews and more credibility. Then you can raise your hourly rate if you want. In the beginning, it may be challenging to get students but when you get the ball rolling, it will be much easier for sure. I noticed that the ones who had the highest rates had usually most reviews. I was a bit surprised because I thought that people wouldn’t buy if your price is high. But maybe it also works in an opposite way. When people see lots of positive reviews and high price they think that this must be a very high-quality teacher. Of course, you have also gained experience and knowledge over the time course which makes you more qualified. Verbling provides also step-by-step instructions and support for those who want to start out as a teacher. We can’t deny the fact that Verbling and Italki are quite similar. It’s not a bad thing. On the contrary, it’s great that there are many services where you can choose from. What are the differences between Verbling and Italki? Verbling says that their language teachers are more qualified. They go through tougher screening in order to get qualified as a teacher on their website. I don’t know how tough their screening process is but I know that you can become a language teacher in Italki without a certificate. However, Italki is a much bigger community. There are probably 10 times more teachers and tutors so you have more possibilities to choose. It also means that prices are in general cheaper in Italki because there is more competition. Some people had found out that some teachers have a profile in both websites. But usually, they were offering their lessons for $1-2 cheaper price in Italki. After all, I would say that Italki is my #1 recommendation but you can also benefit from Verbling. They have some features that Italki doesn’t have like practice groups. Or maybe you find a teacher in Verbling that suits your needs perfectly so you will not need anyone else. 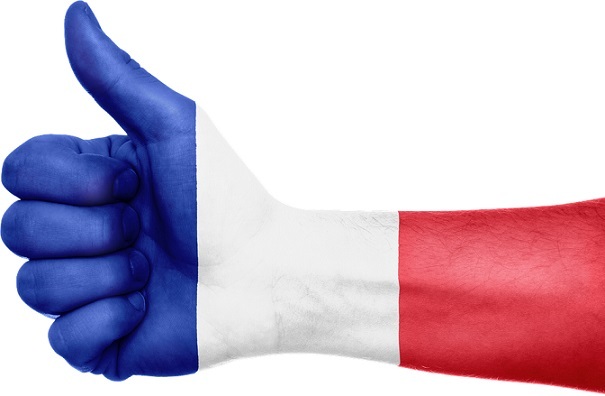 Another great option for finding language teachers and tutors is Preply. I offer 30% discount for all my website readers. Conclusion – Is Verbling Worth It? Yes, it is. It’s completely free to get started and take a look around. Then you can freely choose a language teacher that suits your needs. If you don’t find one, you can always turn to other services. I am looking forward how their practice groups feature evolve and if their community keeps on growing in the future. => Want to Speak Like a Local? Visit Verbling! Have you ever taken language lessons through Verbling or through other services? What kind of experiences did you have? Very thorough review! Thank you for sharing this. In the past I would go somewhere, start to pick up the language and then completely forget everything I learned relatively quickly because once I returned home I have no way to continue using it. The idea of practice groups to help use your skills is brilliant. Nowadays you don’t have a problem anymore that there wouldn’t be people to practice with. There are Verbling, Italki, LingQ, Hellotalk and several other services where you can connect with other language learners. In addition, there are many events all around the world where language learners meet. Have you tried some of those services? Wow I really like this concept! I will definitely be checking it out, I just hope they have Hebrew. I have been trying for a decade to learn Hebrew! I can read Hebrew and know some words but just because I can read a word I still don’t know what the word means. I have tried immersing myself in Israeli Tv and movies to no avail. The best thing I found so far is BYKI but without using it regularly I have not gotten very far. 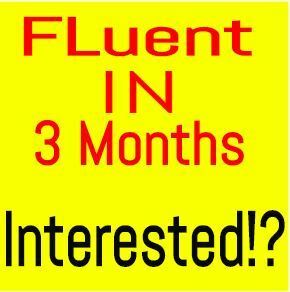 To finally become fluent would be a dream come true! I do agree with the that the prices is a higher or it cost big. If it’a a little lower I think the community will be bigger. Each language lesson in Verbling is 60 minutes that’s amazing because even if you are busy you can take it. What an amazing review from you guys. yeah, you’ve got good points. I think that Verbling is a great community and they are helping thousands of world all around the world to learn new languages. The prices are a bit higher on some other providers but if you are willing to learn, a few dollars/euros is not a problem. 1-to-1 teaching is very effective specially when it is a little bit difficult. like what you said sir verbling practice group is awesome, can you interact with other students? yes, you can interact with other students in discussions or chat group. Actually what I was looking at on your review about Verbling is the cost of learning German which is the target language that I’m planning to learn soon. I must say that it is quite expensive, but that got to show that it is really an important language for those in Europe and working in European countries. However, I wouldn’t mind learning that since I can as well register as a teacher on the site as well when I have learned to speak and write it fluently. Wow thanks for this informative post. I don’t have any idea in this verbling thing. Sorry for my language, it iis in our culture. For an added information about myself, I am from the Philippines and we don’t have the privilage to learn this kinds of lessons. Thanks that I’ve found this blog of yours. To know that there is a kind of website like this, it would be helpful to me in many reasons. Now I can learn the languages I want to learn right away. Even though they cost high than I thought. I can share it to my friends who wants to learn different languages also. Thank you for the information you give. Yeah, services like Verbling are great because you can make progress right away with a native professional teacher. I have one friend who is working there as a German teacher. As far as I know, she has enjoyed teaching on Verbling. Her students have really liked the lessons and improved their German skills a lot. This is very informative review you have here Sir. Knowing that there are some websites like Verbling is very helpful specially to those people who really wanted to learn some languages online. Finding a tutor or a native tutor for a specific language like German language is somehow difficult specially if you are living in an Asian country. 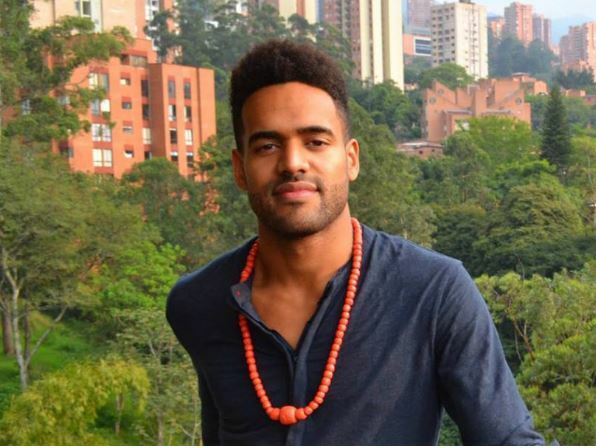 Well, what I like about the website “Verbling” is you can interact with some students, practice speaking the language and be comfortable with the language. Yes, the Internet has opened so many possibilities for language learners. You can master any language from anywhere in the world by using online resources. You can learn speaking, writing, listening and literally everything. Resources like Verbling are great for language students. It’s an previledge and oppurtunity to be able have access and learn to this site. Now, my spare time will be a stepping stone for me to be a productive person in terms of learning new language. Sounds great. What language are you studying at the moment? Since you say, “Verbling has a conversational curriculum…their main focus is on speaking a new language,” I am quite fascinated with this language learning community. I need to check this out. Thanks for the review. Sounds good. Let me know what did you like. I’ve noticed that most people want to learn speak a new language instead of just writing or studying grammar. That’s why resources like Verbling are great. Also, Benny Lewis always concentrates more on teaching people to speak rather than teaching some boring grammar. That’s true. Most of the people want to learn a spoken language. Their primary motive of learning a language is to communicate with the people who use that language. It is true that if you want to use a language in a better way, you need to learn the grammar, however, unless you want to master the language and become proficient, you don’t need to learn the language through and through. Yes. There are also many ways to learn grammar. I think some methods that we used at school weren’t the most effective ones. For example, Duolingo explains you some grammar points and then you can practice them right away by playing their game. I still have a question regarding this program. You have started the price for language courses, is this a recurring charge or onetime payment? By the way if I decide to join this program, I will make sure to use your code so that I can get discounts. Have you checked out their website? You can take one lesson or as many lessons as you want. Sounds like a good platform, however am a little concerned on the pricing which seems a little high in comparison to other sites since it’s just begining to grow and hasn’t really evolved to a large platform like italki for example. Other than that, it think it’s a good tryout for anyone willing to check it out. Thanks for the information. You can use it for completely free so you don’t need to worry about the price. You can afterwards upgrade to premium. If you compare Speechling to local language courses, the pricing is ultimately cheap. If you get a job that pays you 2 times more because you learn another language, Verbling pays itself back several times. Alright. Now thats really helpful. The fact that it can be started on a free plan makes it even better, especially for skeptics like myself and also those concerned about the pricing. Thanks for the suggestion. I have now so many options online to learn the language what I want. Thanks for giving us tips on how to learn language in easiest way. I should try this “Verbling”. I hope I will learn a lot more for them. Yeah, the Internet is full of awesome learning resources. Let me know afterwards what did you like about Verbling. Hola! Soy Tiffie, I have been studying Spanish on and off through Instituto de Cervantes and do self-studying as well. I have bumped into Verbling a year ago if I’m not mistaken. I am sure it’s a promising venue for learning Spanish. I just did not have the monetary amount to pay a good Language professor. I do hope they give discounts from time to time. Have you checked out Baselang? 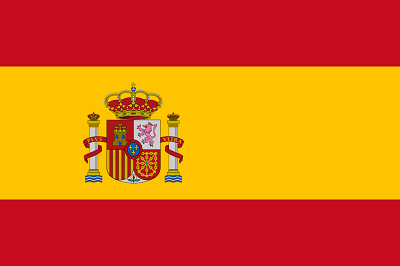 That’s one of the best resources for learning Spanish. What a great service Verbling is! I hope i can be able to participate by being a tutor of my own language “Tagalog”. I know that a lot of people also have wanted to learn our language and this is the best way I can teach them. Just hoping that Verbling have a platform for me to teach my native language to anyone. Apart from the high prices, I also believe verbling is good. You have given a nice review about verbling and reading it has made me feel like I know everything about that site. I haven’t taken any lessons online but if I ever am ready to teach online, I will start with Italki. Sounds like a great plan Jessym! I like the part wherein Verbling can do like a group session and I think it’s very helpful for learners. The fact that different language is not easy task to learn but you are right, as you started absorbing on what courses they will give out, it will be easier as time goes by. Group session will be advantage for everyone because they will learn newly things from each participants aside from their tutor. That’s a good point of view! Learning languages becomes very easy and very affordable now a days. So if you want to learn different language you can try verbling. I am not yet tried verbling but because of what I see and read I can say that it is legit and I will definitely try this sooner. Learning different languages is difficult no matter how you look at it. Vocabulary is only the first step to fully understanding the mechanics of a language. Verbling has helped me exponentially with its easy to use interface, and high quality support of grammar practices. I am so glad I tried out this program and I am so excited for where it will take me! I think learning languages is hard only if you have wrong techniques. If you use effective methods, you can learn any language easily. Wow, so much information in only one post, you are the best! Thank you Alberto! I’m glad you liked.